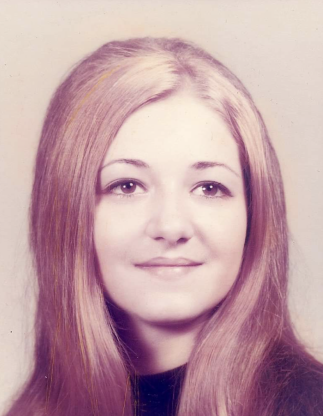 Obituary for Diana MacFarland-Petrovic | John Syka Funeral Home, Inc.
Diana MacFarland-Petrovic, 66, of Moon Township, passed away surrounded by love on April 6, 2019, at Shadyside Hospital. She was born September 9, 1952, in Sewickley, daughter of the late Giuseppe and Olympia Lena Guerrieri Perciavalle. Her first job was Assistant Manager with Charles Men’s Store, Ambridge. She received a Certificate in Business Administration from CCAC and held office administrative roles until becoming a Satellite Office Partner with Budget Marketing of Eastern Ohio and CEO/Business Owner of Petrovic Enterprises LP in the Marketing and Publications industry. Diana loved researching her family lineage and history, she was a diehard Steelers fan, and enjoyed a passion for fishing having successfully reeled in her own, personal best eight foot sailfish. Surviving are her beloved son, Brian MacFarland (Jennifer Hudson), of Imperial, PA; four nephews: Frank, Joseph Mario III, Jonathan, and Jacob of Aliquippa; a niece, Jamie Lena Loraine of Aliquippa; great nephews Joseph Mario IV of Aliquippa and Matthew of Cleveland, OH; a great niece, Gina, Houston, TX; a sister-in-law, Adela Sabatucci Perciavalle, of Aliquippa. She is also survived by her ex-husband, Gerald MacFarland, Moon Township, father of her son. She was preceded in death by her parents, three brothers, Joseph Mario, Raymond and Alfonso, her second husband, Charles, and her loving dog, Rameses. At the request of the deceased, there will be no public viewing. Friends are invited to meet at Good Samaritan Church, 725 Glenwood Avenue, Ambridge, PA, 15003 on Friday, April 12, 2019 at 12:00 PM where Mass of Christian Burial will be held. Private entombment will take place in the family mausoleum at Mt. Olivet Catholic Cemetery. In lieu of flowers, memorial contributions may be made in Diana’s name to Angel Ridge Animal Rescue, P.O. Box 94, Meadowlands, PA 15347.